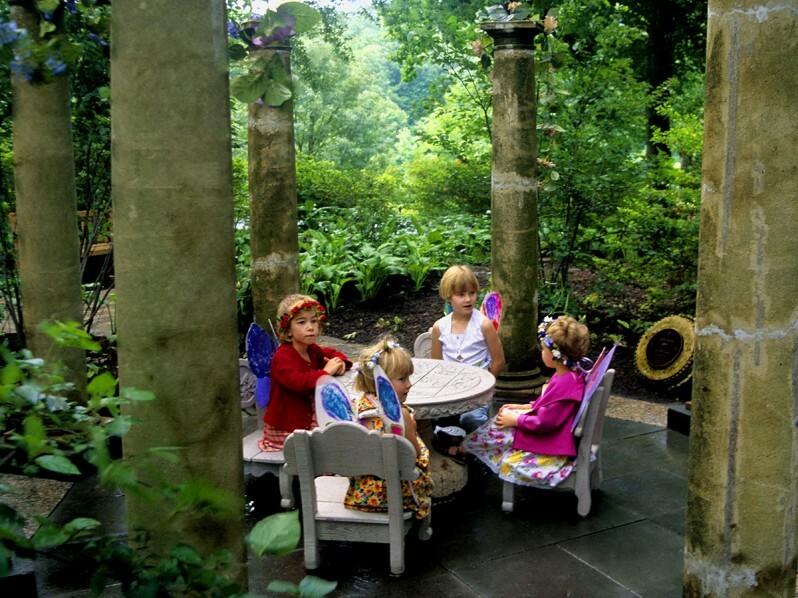 The Winterthur Museum, Garden & Library refers to Enchanted Woods as “a garden of fairies and woodland spirits,” offering a sequence of destinations that explore fantasy, imagination, and horticulture. 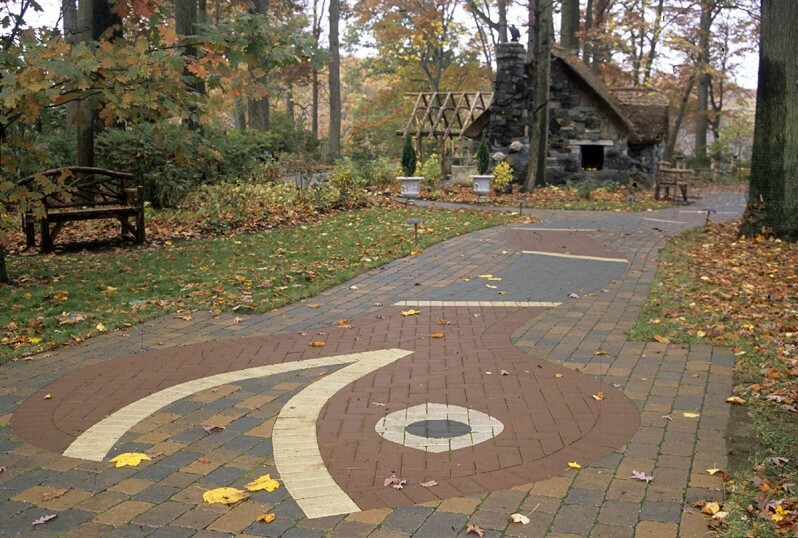 The Ssserpentine Path wriggles its way through the center of Enchanted Woods. 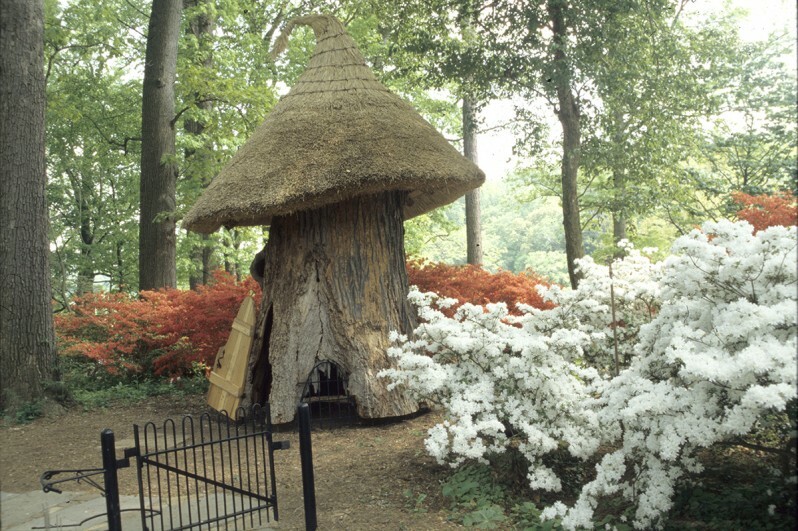 A giant hollow tulip tree was salvaged from the Winterthur estate and turned into the Tulip Tree House. 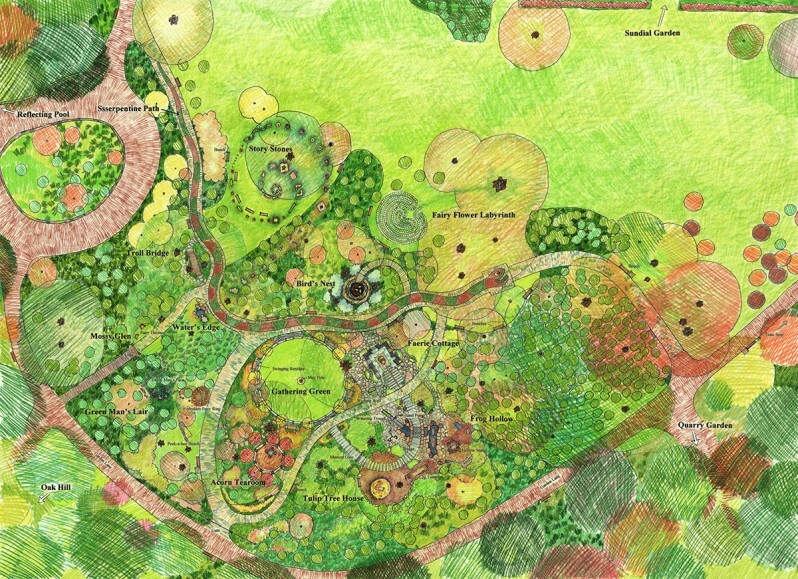 Enchanted Woods is visible from the adjacent Sundial Garden, following H. F. du Pont’s design principle of seamless transition from one section of the Winterthur garden to another. 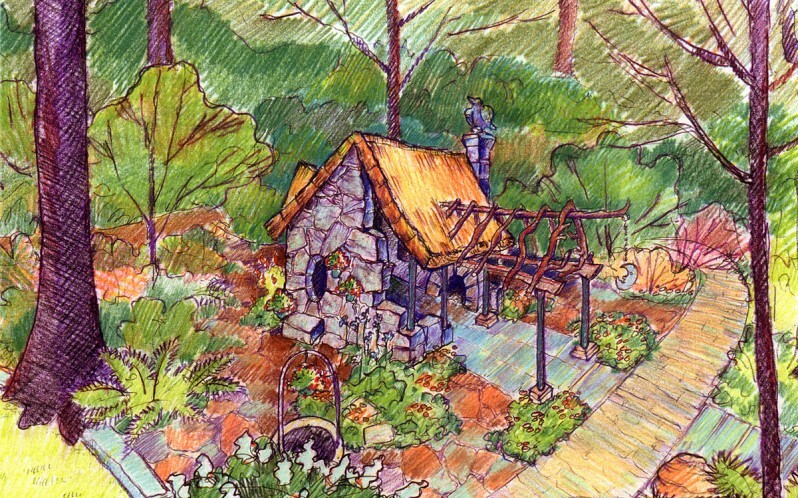 The Faerie Cottage was designed to look like an old ruin fixed up by the fairies. 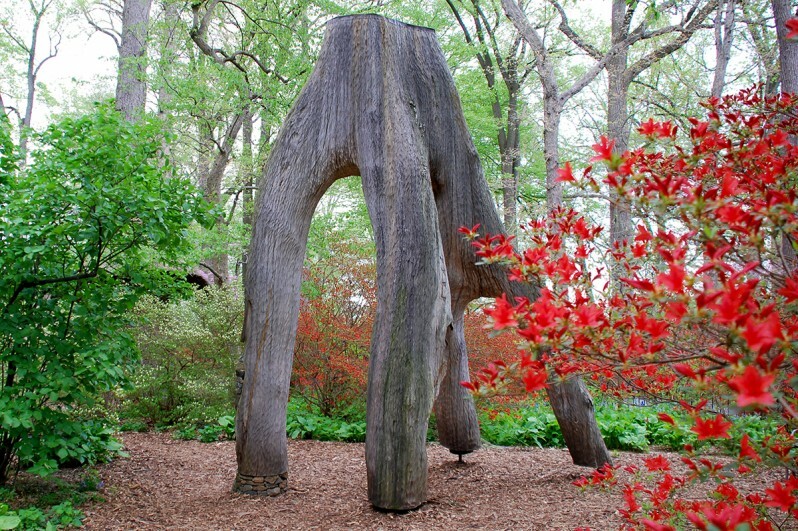 A dying oak in one of Winterthur’s woodlands became the Upside Down Tree. 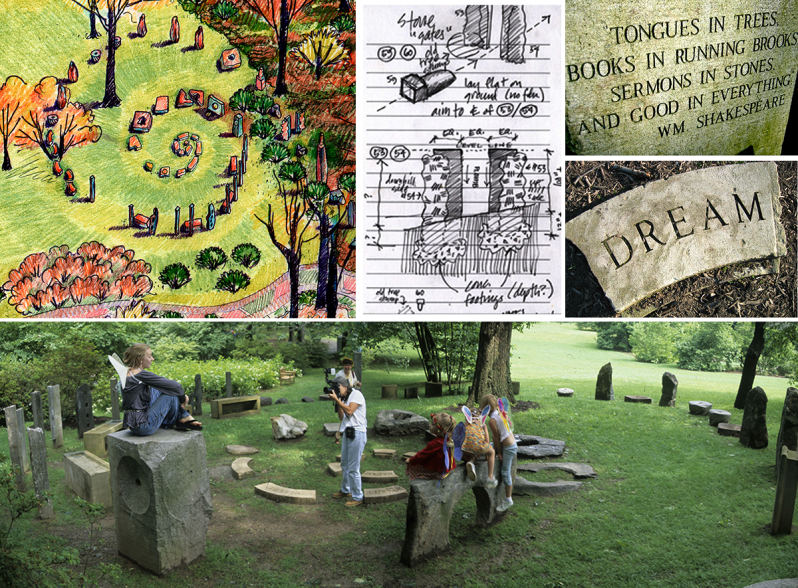 H. F. du Pont purchased a collection of stone artifacts just before his death in 1969, and they had been in storage until they found a home in the Story Stones at Enchanted Woods. The Gathering Green is a quiet resting place at the center of Enchanted Woods. 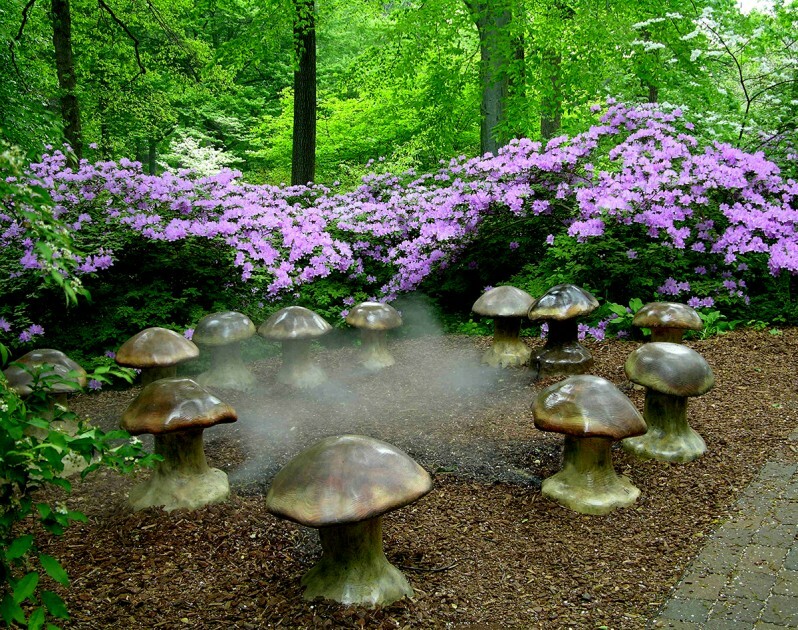 The Forbidden Fairy Ring is a circle of giant mushrooms that emits a cloud of fog when you step inside. 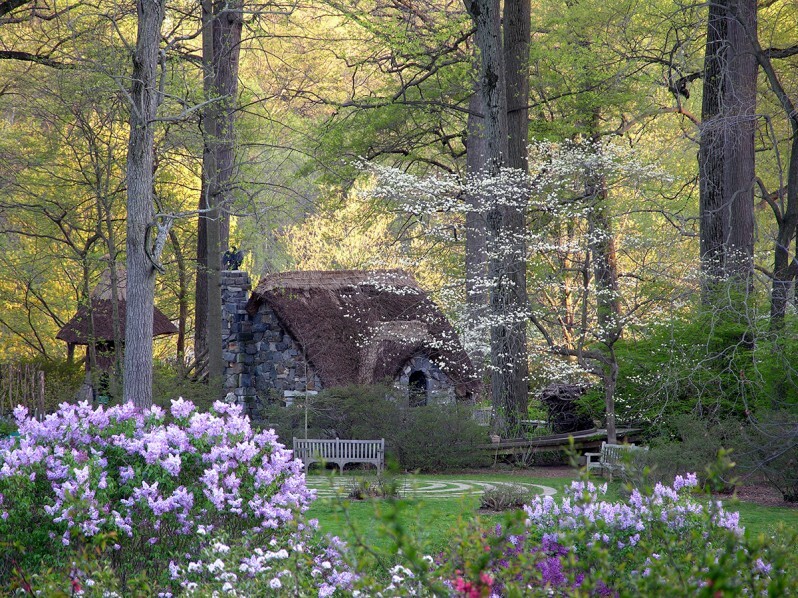 Behind them is a mass of ‘Winterthur’ azaleas. 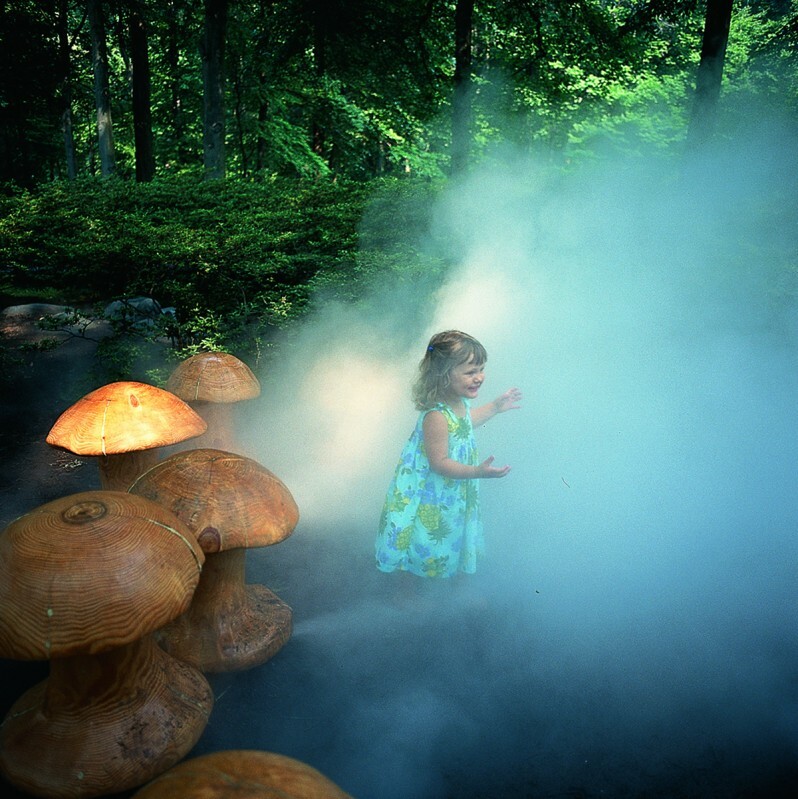 When the fog rises up from beneath the circle of mushrooms, children have been known to totally disappear. The Acorn Tearoom is a circle of old garden columns saved when a rose arbor was torn down in the 1960s. 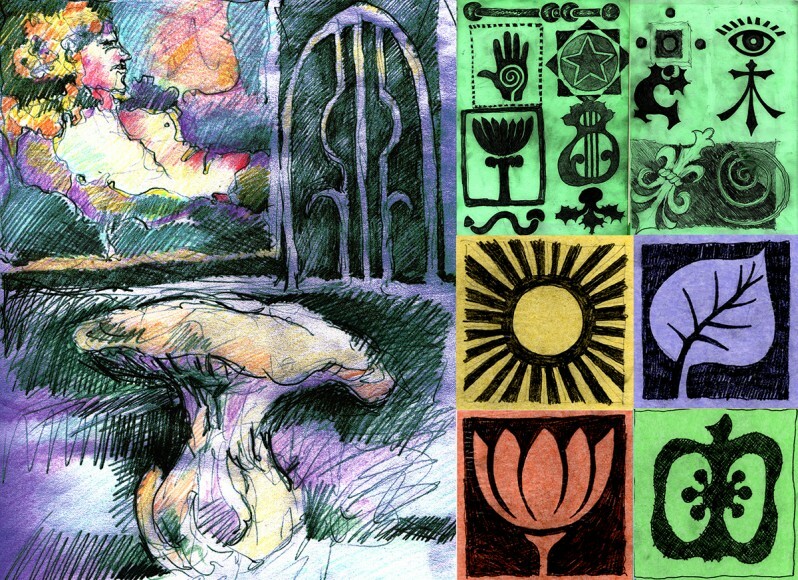 Exploring the history of mysticism and magical symbols helped to set the overall mood and sense of place for Enchanted Woods. Paintings of modern-day fairies flying over the Winterthur estate also contributed to the overall design process.